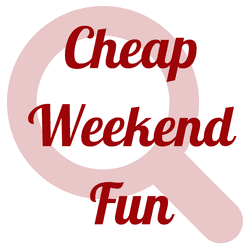 There’s a lot of fun things to do in Boston this weekend for cheap or for free. As always, please let me know in the comments below if I missed one of your favorite events this weekend. The 51st Head of the Charles Regatta: October 17-18, 2015. Spectate and enjoy this iconic two day rowing race along the Charles River! Massachusetts Independent Comics Expo (MICE): October 17-18, 2015. Check out MICE 2015 featuring the best of local comics! Halloween Pumpkin Festival: October 17, 2015 fro 5:30-7:30pm at Boston Common. Enjoy this annual festival featuring floating pumpkins, luminaries and fun family activities! 19th Annual A Cappella Competition: October 17-18, 2015 at Faneuil Hall Marketplace from 11-4pm. Watch over 30 of New England’s best A Cappella groups compete for cash prizes and the winning title! Fort Point Open Studios: October 16-18, 2015: Twice each year the artists of Fort Point open their studios to the public for a free weekend of art!